Home › FAQ › What is the Difference Between Grants, Scholarships and Loans? There is an important legal difference between grants, scholarships and loans that affects a student’s taxes and debt after college. In general, grants and scholarships are student financial awards that don’t need to be paid back, but they sometimes come with research requirements in the case of graduate students. Loans always need to be paid back, but federal subsidized loans don’t begin accumulating interest until the student drops below half-time enrollment. 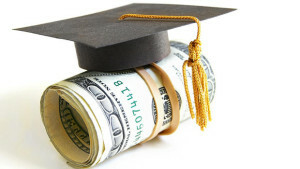 Grants and loans are usually based on financial need, while scholarships are more often merit-based. However, many scholarships are also available for certain disadvantaged groups, such as minorities and the disabled. One important difference between scholarships and other forms of aid is that scholarships are subject to federal and state taxes, and any scholarship money left over after education expenses have been paid is taxed by the government, according to the website Scholarships. If a student receives a scholarship but doesn’t attend classes, the entire amount is taxed as if it’s income. Grants and loans aren’t taxed, and loan repayment can actually be claimed as a deduction on federal tax returns. Grants are usually awarded to graduate students in exchange for doing research projects, but undergraduates are also eligible for the federal Pell Grant. This award is based on financial need and gives students free money to pay for tuition, books and expenses. It never needs to be paid back, but only a limited amount of money is available in the form of a Pell Grant. A similar type of financial aid, called a fellowship, is available only for graduate students doing research at a university. One famous example is the MacArthur Fellowship, which is also informally called the Genius Grant. People who receive this fellowship are usually famous for some achievement, such as Luis Von Ahn, the creator of Captcha, a Web technology that reduces the amount of email spam. You don’t have to be famous to receive most fellowships, but because they’re often very prestigious, competition for them is strong. Scholarships can also be competitive, but they typically don’t have any strings attached. Most scholarships are non-renewable, so as soon as one is awarded, the connection between the student and the organization ends. To be eligible for merit-based scholarships, students usually need a GPA of at least 3.3, although some of the more competitive awards require much higher scores. Students who have sparkling high school records or professional-level athletic talent can receive enough scholarship money to pay for their entire college education. This arrangement is known as a full ride, and it is usually reserved for the most gifted and dedicated students. Competitive schools like Harvard, MIT and West Point usually make these offers to students who have shown that they have the talent and vision to persevere in the face of adversity. Only a tiny percentage of students can pay for their entire education with scholarships, but most people can pay for it with a combination of grants, scholarships and loans. However, students who make too much money to qualify for need-based awards will have to pay for part of their education themselves. College is becoming more expensive, and fewer jobs are available for workers without a degree. If you plan to enroll in classes, you should understand the difference between grants, scholarships and loans.